As the world leader in green energy, Ørsted develops, constructs and operates offshore wind farms, bioenergy plants and innovative waste-to-energy solutions. 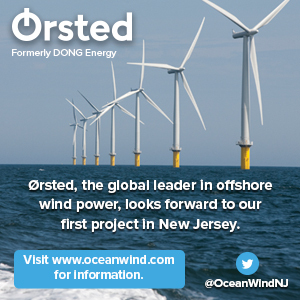 In 2015, the Danish company acquired the rights to develop the first offshore wind farm off the coast of New Jersey—now called Ocean Wind–and turned to Thomas/Boyd Communications to communicate with major stakeholders, the media and the public about this groundbreaking project. Thomas/Boyd Communications offers strategic guidance to Ørsted regarding advocacy communications and business relationships in New Jersey. We introduced Ørsted to key members of the media covering business and the energy sectors, resulting in positive coverage for their brand and the Ocean Wind project. We have created content for media and marketing materials, social media posts and their website, and are responsible for ensuring that the Ørsted team takes part in strategic events, sponsorships and speaking engagements. Why do these ads keep following me? © Thomas/Boyd Communications LLC. All rights reserved.